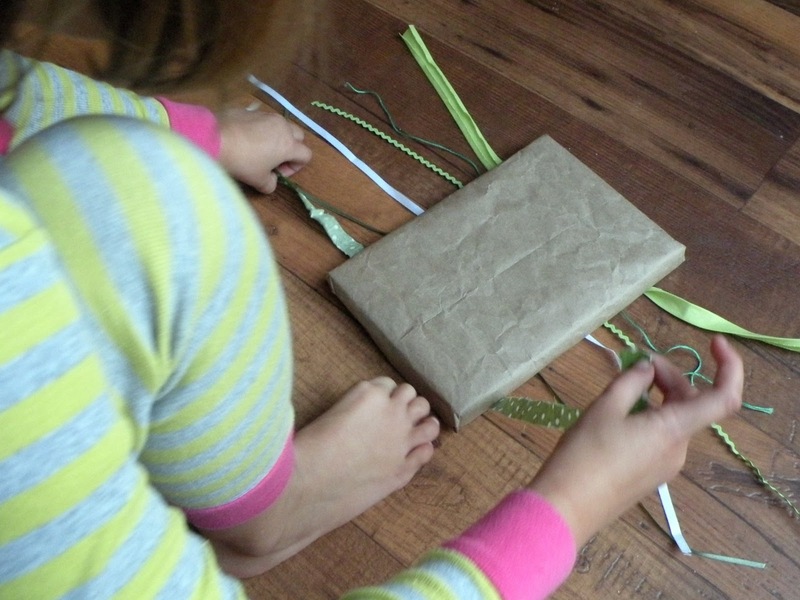 We've been working on tying knots (along with an occasional attempt at a bow) so when I received a package stuffed with an excessive amount of brown paper - I found myself singing the words to "My Favorite Things" and this knot-tying activity immediately came to mind. 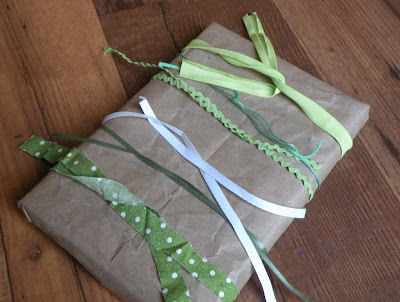 First, you'll need to wrap an item (we used a small board book) in brown paper. 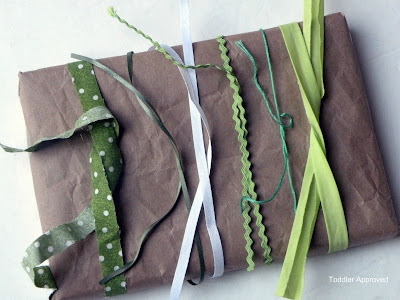 Of course any type of paper would work, but I think a solid color allows the string to stand out. 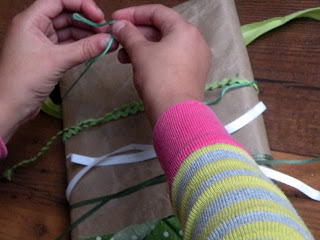 Next, gather string/ribbon/fabric in varying widths, textures and weights. For some reason my stash contained only shades of green (which made for a nice color palette to photograph) - but I also think it would be fun to use a variety of colors. 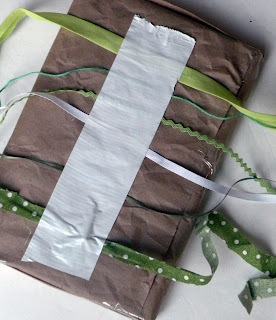 Secure string to back of package with heavy duty tape to avoid shifting while your little one is busy tying. Turn the package over, line up the strings and tie. You could encourage your child to tie different strings together, practice double knots or bows. We "attempted" tying bows - but I could tell my daughter was getting easily frustrated and I wanted the activity to be fun (so we kept it simple with "just knots"). 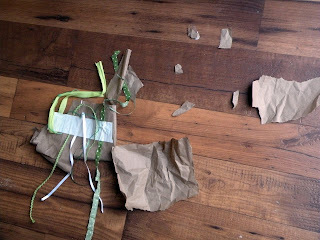 Once finished: admire, untie & repeat until . . .
. . . the suspense is too much. As soon as we decided not to work on bows, this ended up being a really fun activity for my daughter (and a good reminder that I need to follow her lead and readiness). Speaking of packages - did you already enter to win this one containing Bob Books?